Many of our Washington bankruptcy clients want to know how filing for bankruptcy will affect their car or vehicle. They also want to know if they will be able to purchase another car after filing for bankruptcy. When it comes to vehicles, many of our clients have options. Our bankruptcy lawyers can help you understand your legal rights and options. Most people can keep their cars in bankruptcy with little worry. Bankruptcy laws protect property that is needed to start over once oppressive debt is wiped out. A car is one of the basic pieces of property people need to rebuild their credit, stay employed and take care of their families. The laws that protect property in bankruptcy are known as exemptions. In Washington, you can choose either federal or state exemptions. Both federal and state exemptions provide an automobile exemption of approximately $3,500. They both provide a “wildcard” exemption that can be stacked on top of the car exemption as well. The Washington car exemption is $3,000 and the federal exemption is up to $11,975. If you have a car in a Chapter 7 that cannot be protected by the exemptions in a Chapter 7, sometimes you can offer the trustee cash to buy out his interest in the car rather than lose it. Another option would be to file a Chapter 13 and pay the creditors the money they would receive through its sale over five years. If you are making payments on a car in a Chapter 7, you can give the car back and walk away from the debt (or surrender the car to the creditor). You can keep making the payments and keep the car. If you keep making the payments, the creditor will want you to sign a reaffirmation agreement. This agreement takes the debt outside the bankruptcy discharge and by signing it you run the risk of being on the hook for the loan if you can’t make the payments in the future. The car company can repossess the car even if you don’t sign the reaffirmation agreement even if you are current. Some car companies may allow you to “retain and pay” the car without a reaffirmation. A reaffirmation should be carefully considered before signing it. Chapter 13 plans allow you to restructure a car loan as a part of a repayment plan. For cars purchases over two and a half years ago, you can “cram down” the loan and pay the car in the amount of the cars value. Cram downs are available for refinanced car loans or trade ins of “negative equity” as well. Even if you do not cram down the car loan, you can still lower payments in a Chapter 13 by reducing interest or spreading the payments out over a longer period of time. A big worry for most people considering bankruptcy is what will happen to their car. 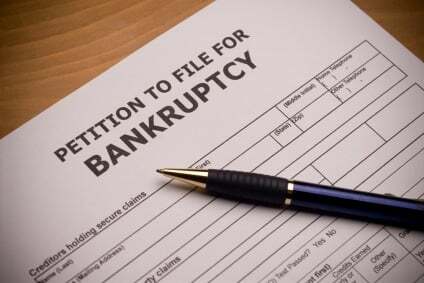 The purpose of bankruptcy is to give someone a fresh financial start, and the law recognizes that to have a fresh start, a debtor usually needs a car to survive. Contact us today to learn more about your vehicle in bankruptcy. Can I Qualify for Bankruptcy?